Chart No. 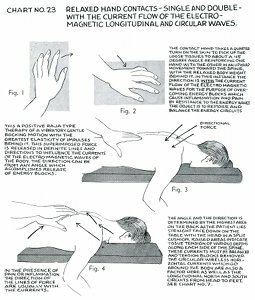 23 - Relaxed Hand Contacts - Single and Double - with the Current Flow of the Electro-Magnetic [Electromagnetic] Longitudinal and Circular Waves. 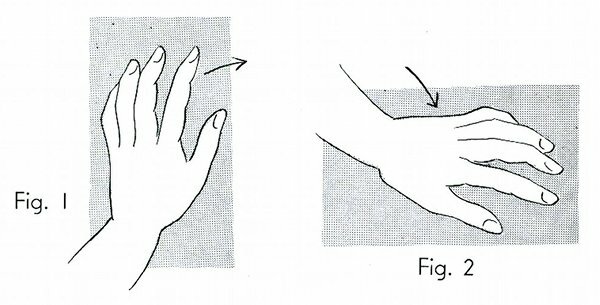 The contact hand takes a quarter turn on the skin to pick up the loose tissues to about a 45 [forty five] degree angle reinforcing one hand with the other in an upward movement toward the spine, with the relaxed body weight behind it. 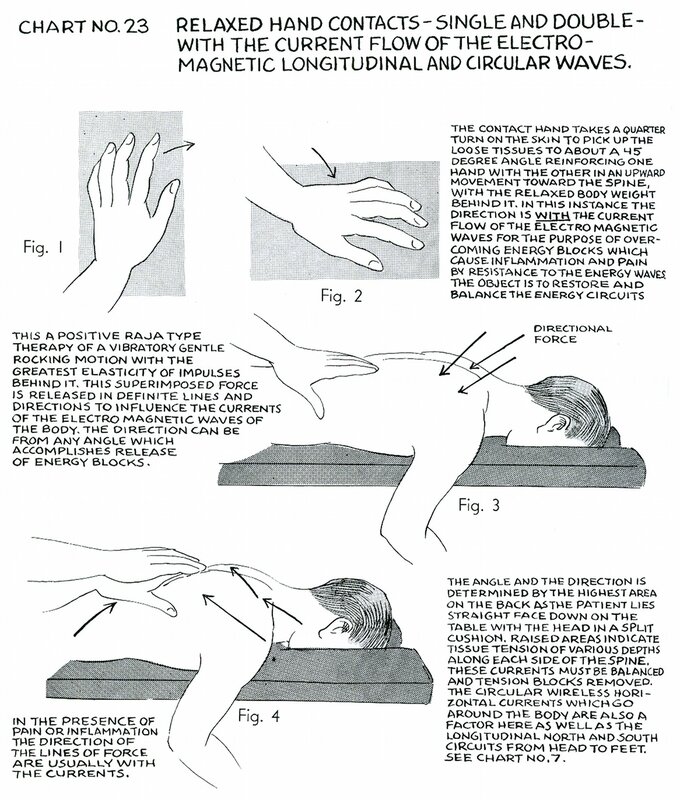 In this instance the direction is with the current flow of the electro magnetic [electromagnetic] waves for the purpose of overcoming energy blocks which cause inflammation and pain by resistance to the energy waves. The object is to restore and balance the energy circuits. This a positive raja [rajas] type therapy of a vibratory gentle rocking motion with the greatest elasticity of impulses behind it. This superimposed force is released in definite lines and directions to influence the currents of the electro magnetic [electromagnetic] waves of the body. The direction can be from any angle which accomplishes release of energy blocks. 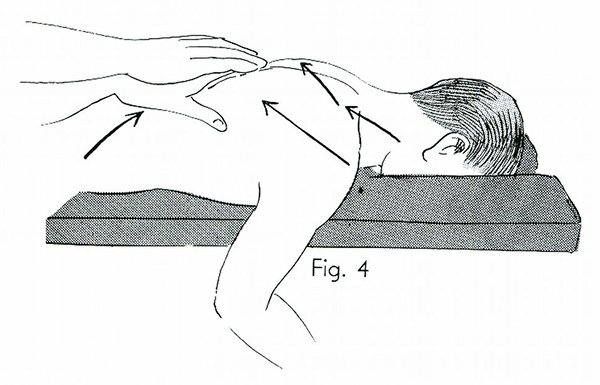 In the presence of pain or inflammation the direction of the lines of force are usually with the currents.